How to Revamp Your Summer Wardrobe in an Eco-Friendly Way - Planet Aid, Inc.
Everyone loves summer. It’s the season of lazy days by the pool, barbecues with friends, and an excuse for a new wardrobe for the warm weather. But rather than sporting past years’ clothes that have been hibernating in your closet all winter, why not repurpose your old threads into the latest summer trends? Not only will this revamp your wardrobe, but recycling clothing also plays a huge role in helping to preserve the environment. 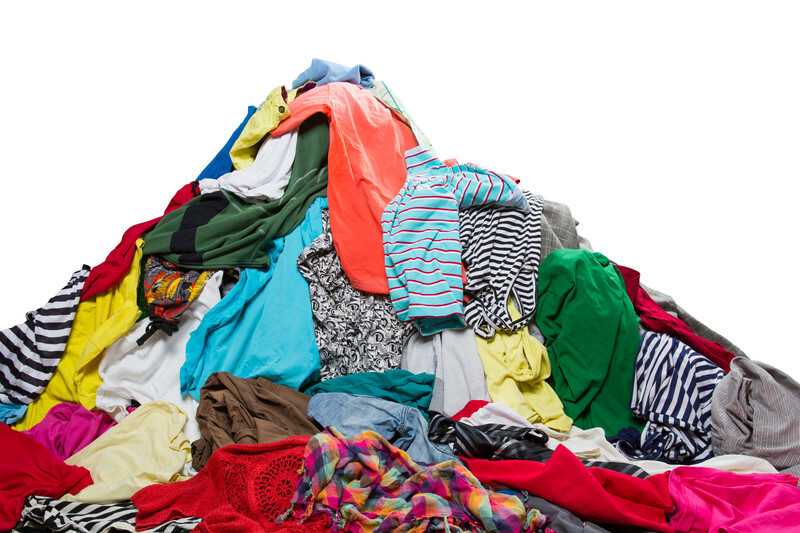 Research shows that the average American throws out 82 pounds of textiles annually. This means that every year, the United States alone is responsible for millions of tons of textile waste piling up in landfills and increasing the amount of greenhouse gases emitted into the atmosphere. While statistics like these may sound discouraging, it’s important to remember that these numbers are not permanent. Ninety-five percent of clothing can be recycled, so by finding new ways to repurpose old outfits we are directly helping to reduce waste in landfills and protect the environment. And as a bonus, recycling clothes helps save money! Not sure where to begin? Planet Aid is here to help! We all have that favorite pair of jeans that we refuse to part with, despite the fact that they’re falling apart. Instead of forcing yourself to throw them away, try turning them into a pair of custom denim shorts. Not only is it easy, but it’s a fun way to keep your favorite jeans, while also gaining a brand new article of clothing. In addition to simply cutting old jeans, there are many ways you can add your own personal style to your new cutoffs. Try dipping them in bleach, adding studs, or gluing a lace trim around the bottoms. A quick Internet search can bring you to thousands of more tips, but here are a few ideas to get you started. Time to turn that old, worn-out sleep t-shirt into a new top you can wear for any occasion. Whether you’re going to the beach, out with your friends, or even just to run errands, there are so many easy t-shirt transformations that are perfect for the summer! You can keep it classic by cutting off the collar or experimenting with tie-dye, or try something a little more daring like cutting it into a halter-top or adding fabric patches over pockets. If you end up making a mistake with a cut, no need to worry! Cut the shirt into a few pieces and use the cloth as rags around the kitchen. As previously mentioned, there are so many ways to easily alter shirts. Although most of us just think of the basic ways to cut shirts, did you know you can also turn them into new accessories? Turn your old shirts into tote bags, headbands or scarves with these simple tricks! Clothing isn’t the only thing that can be repurposed for your summer wardrobe. 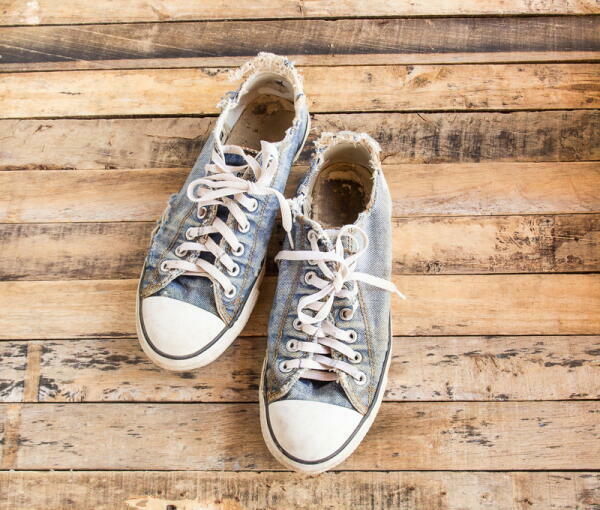 Try adding some new designs to old shoes! Grab some fabric dye, doodle with markers, or stick on studs or embellishments for an easy shoe makeover. Try gluing on some new fabric for a complete transformation. If you’re still interested in adding to your wardrobe and buying new clothes, consider buying secondhand. Not only is secondhand shopping more affordable, but it cuts down manufacturing demands, gives a longer life to clothing, and helps reduce landfill waste. 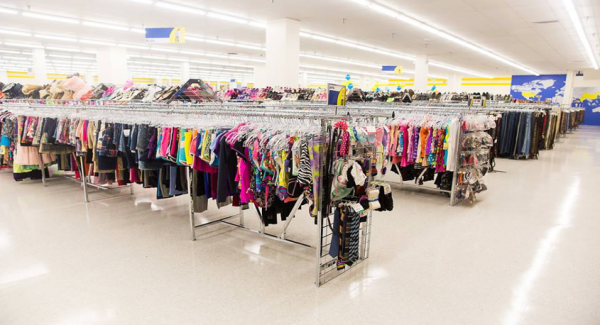 Check out a local thrift store, like the Planet Aid Thrift Center, for a large variety of affordable clothes. Remember to look for clothing you love, but also keep your eye out for clothes you can repurpose! Oversized shirts, comfortable jeans and white shoes are perfect if you’re eager to try out any of the ideas above. Summer is the perfect time to get creative, so don’t limit yourself when it comes to thrifting. Use your imagination and have fun! Krochet Kids: Krochet Kids is a brand devoted to empowering its artisans in Peru and Uganda to rise above poverty by providing them with education, mentorship programs, and fair wages. Tentree: Tentree is a clothing company committed to environmental responsibility and ethical manufacturing processes. For every item purchased, Tentree will plant 10 trees in areas that need it most. Passion Lilie: Passion Lilie is a fair trade apparel company dedicated to providing its workers with health and education opportunities while promoting an eco-friendly production process. 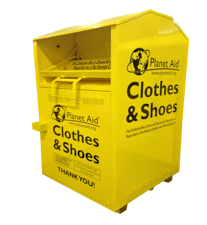 As always, if you have any unwanted clothes you are ready to throw out, please consider donating them to one of our yellow Planet Aid bins. With your clothing donations, we are able to protect the environment, while simultaneously supporting development projects all over the world!